Crowdfunding is still a thing, here’s your update – Waves: Arena Tactics is a multiplayer twin-stick shooter with the usual fireworks, Sweet Escape is pitching with the power of last week’s news, Kingdom Come: Deliverance uses the magic of CryEngine to deliver a medieval world without magic, and Nature Hater curses the very air it breathes. Outlook: Trending significantly below target. Want a 80+ Metacritic rated twin-stick shooter for £1? This Kickstarter for Waves: Arena Tactics is probably your deal of the week. The original Waves is typical of the genre – a superb looking digital firework show with a pumping soundtrack. It won plaudits for its tactical depth and inventive gameplay modes at a time when there was no real shortage of Geometry Wars alternatives, so the possibility of a sequel is great news for shmup fans. Waves: Arena Tactics has apparently been in development for the past two years – the Kickstarter is in aid of bringing aboard an artist and composer, as well as coding several new modes, especially those planned for the new competitive and co-operative multiplayer. Outlook: A slow start, but too early to tell. I’m not sure how to take Victory Square Games’ pitch piggybacking on the King.com, Ltd ‘Candy’ copyright fiasco. Sure, it makes marketing sense , but in an industry where quality products take months or years to make, such opportunism can (usually wrongly) leave you with the impression that the product has been slapped together, or maybe pushed out earlier. Here, it verges on the cynical. It starts off innocently enough – lots of deliberate mentions of ‘Candy’ and a villainous Candy King who wants to keep it all for himself. But the page’s repeated insistence that funding the project will ‘save the candies’ frames the Kickstarter as an effective way of getting back at King.com, which it clearly isn’t. Also, going out on a limb here: I doubt they phoned Yoko Ono to clear that parody of Imagine. See? There I go focussing on its send up of a controversy that has almost completely passed anyway, instead of the actual game. 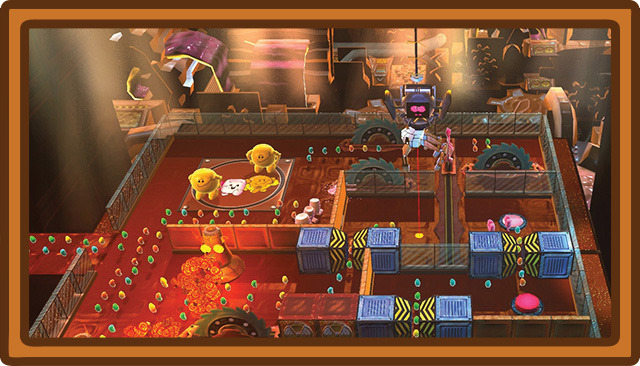 Sweet Escape is an action-puzzler of the “cute things die in amusing traps when you fail variety” – think Lemmings, which is cited as an inspiration. But with nudge-wink-candy and, no, not feeling it. Outlook: Has already doubled its goal, stretch goals continue to be added. It’s case study time again: launched on the exact same day as Cry-Engine powered open-world adventure Cradle, was Kingdom Come: Deliverance, a Cry-Engine powered open-world RPG. Cradle wanted $350,000 and has $90,000. Kingdom Come: Deliverance wanted £300,000 (about $490,000) and has £650,000 (over a million USD), and that’s despite the fact that you’ll hum Duelling Banjos every time you see it. Taking a look at Cradle a fortnight ago, I questioned its concept-art-heavy pitch and some of its bolder claims about unique narrative and innovative combat systems it entirely failed to demonstrate. 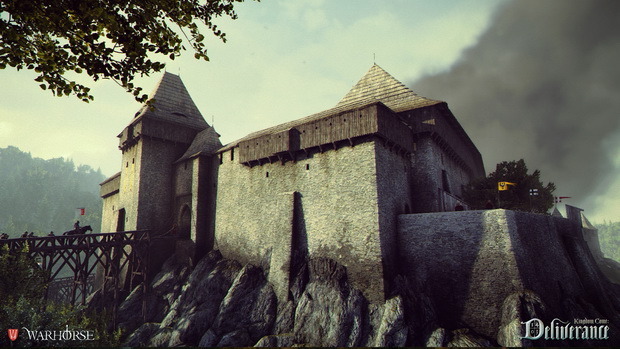 Kingdom Come: Deliverance offers a pitch full of in-engine shots, and explains at length how its setting (medieval Europe minus the occult) and systems are different. Sadly, I think it’s a difference of experience that gave one project a better pitch and sustained greater interest. Kingdom Come: Deliverance developers Warhorse Studios may have been formed relatively recently, but team members have worked on big name titles at several major European developers. Cradle‘s team are young and evidently talented – but it’s clear that even with similar ingredients, an inexperienced team stands to be eaten alive on Kickstarter. Outlook: Funded. Stretch goal at £5,500 for iOS. Having baffled biologists for centuries, Dean the platypus is set on making nature pay for his duck-billed, beaver-tailed, otter-footed, egg-laying mammalian hybridism. 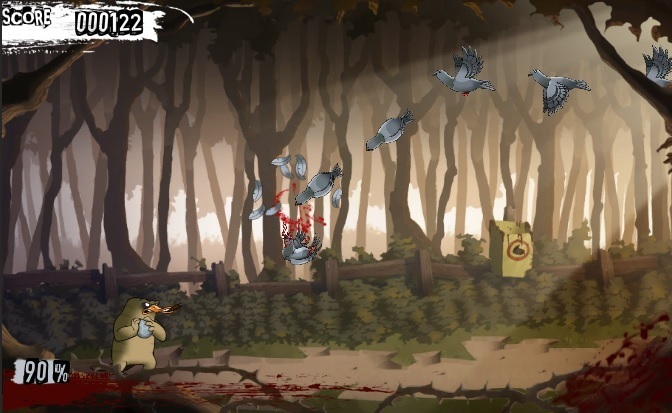 The resulting game is a sort of Angry Birds for people who really, really hate animals. The cigar smoking Dean launches eggs at birds, rabbits and other rural and urban wildlife with bloody, hilariously messy results. A cheap and cheerful app (a £1 pledge will get you a copy) with a cheap and cheerful crowdfunding pitch, Nature Hater has deservedly reached its modest goal already – just under a week remains for stretch goals that will bring the app to platforms other than Android. There’s no guarantee that you won’t be put on some kind of RSPCA list, however. UK Music, the IPO and Aardman launch Music Inc.
Kingdom Come looks fantastically ambitious, fear it might become a Boiling Point though..